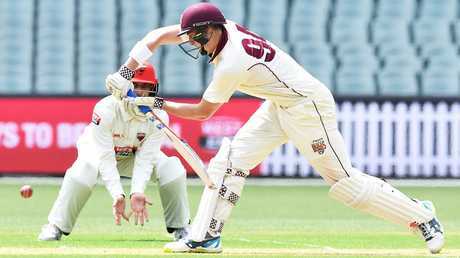 Matthew Renshaw celebrates a 50 for Queensland. MATT Renshaw says he likes being called "boring" and won't change his tortoise style because that's exactly what Australia needs. Renshaw is on the cusp of a Test recall after being included in Australia's 13-man squad for the upcoming series against Sri Lanka. 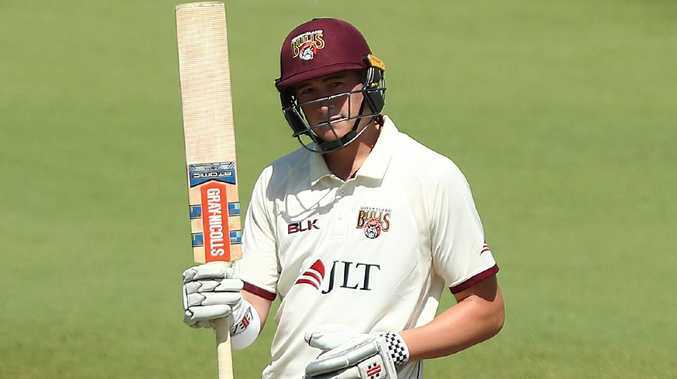 The Queenslander has had a lean run in the Sheffield Shield this summer, averaging 19.9, but has been called up following Australia's 2-1 series loss to India. Renshaw, 22, has played 11 Tests in two stints in the baggy green, scoring one century and averaging 33.47. 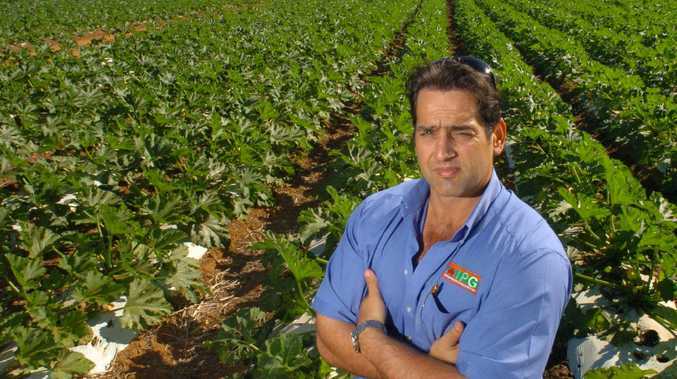 He was heckled during his debut series in Australia for his, at times, painfully slow strike rate. But with Australia failing to produce a century-maker against India, Renshaw said occupying time at the crease was exactly what the team needed. Matthew Renshaw solid in defence for Queensland. "I love being called boring," Renshaw said. "I get called a lot of names and boring isn't the worst one. "I love batting and if I manage to bat all day, then your team's in a good position. "It's my role to put the team first." Australia got a stark reminder of the importance of batting long periods of time from Indian wall Cheteshwar Pujara. Pujara was the Border-Gavaskar Trophy's player of the series after racking up 521 runs at 74.42 and batting more than 22 hours. Recalled batsman Matthew Renshaw and Joe Burns. Renshaw is capable of spending hours at the crease and said that would be his goal if he is picked for the Gabba Test from January 24. If he is selected, it will be his third call-up to the Test team and Renshaw admitted he may be out of the arena again. "That's the life of a cricketer - you go in a side and out of a side, that's just life," he said. "I've tried to deal with it as well as I can. I'm 22 but I've got a long time ahead of me. "I probably won't play for the rest of my career (without being dropped). "You've got to get ready for playing when you do play and making the most of your opportunity."